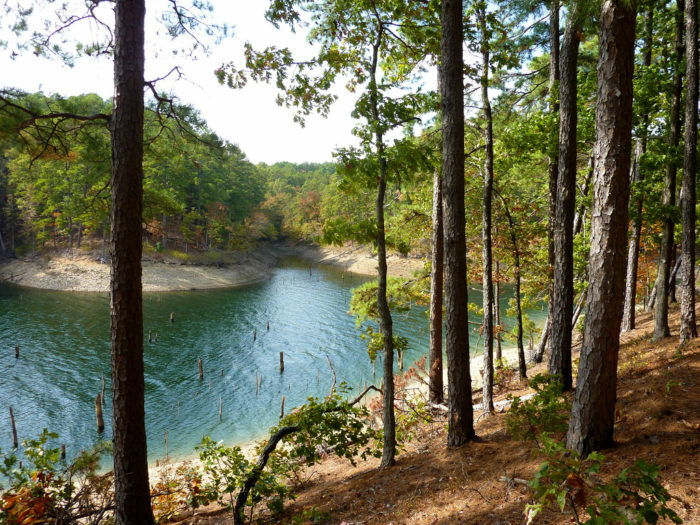 Little Blakely Trail offers a gorgeous woodland setting and views of Arkansas’s biggest and cleanest lake, Lake Ouachita. 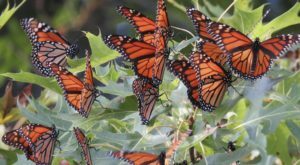 This trail is fairly easy hike on a moderately trafficked 17-mile loop. Hikers beware, though, this is also a popular mountain biking spot. 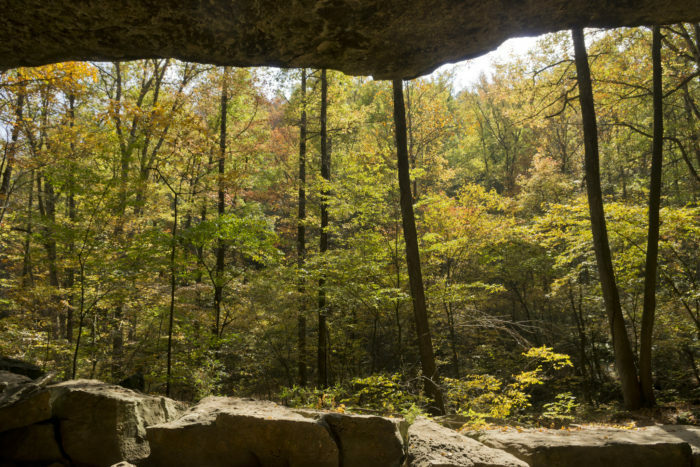 Devil’s Den is full of gorgeous, well-maintained trails, but Yellow Rock is the absolute must see in this state park. 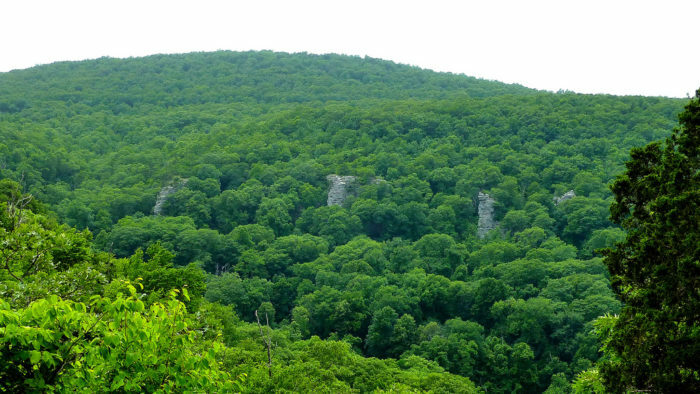 This moderately difficult three mile trail takes you past the first structure built by the CCC in the park, and up three hundred feet in elevation to Yellow Rock itself, which will give you a breathtaking view of Lee Creek Valley. This one is highly trafficked though, so try to go at a time when you’re more likely to find some solitude. Welcome to Mount Magazine, the highest point in Arkansas. 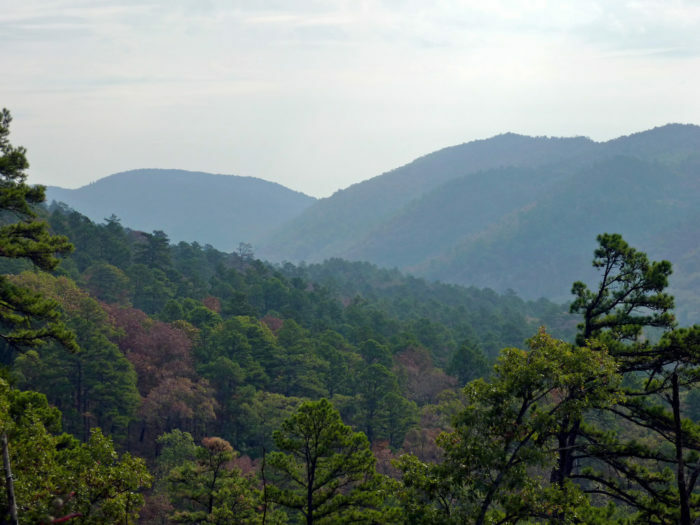 The North Rim Trail starts just west of the visitor center and continues through a hardwood forest over several creeks, where it ends at Cameron Bluff Overlook Drive. This 2.2 mile trail is moderate to strenuous in difficulty and moderately trafficked. What you see pictured above is a view you’ll catch from the trail of some intensely astounding bluffs. Sure, the accurately named Big Bluff looks fantastic from the river, but can you imagine how fantastic the river looks from the top of Big Bluff? You don’t have to imagine if you can manage Goat Trail, as it takes you right up there where you can gaze at the river from the tallest bluff in the area. This trail, however, is extra tough. Like, people have died on it tough. Still, if you’ve got the strength, balance, and expertise to conquer this bad boy, you’ve absolutely got to try. 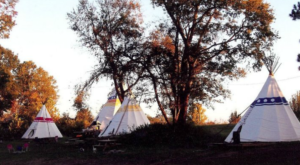 The Lost Valley Campground is located near Ponca and you’ll find the trail near the campground. 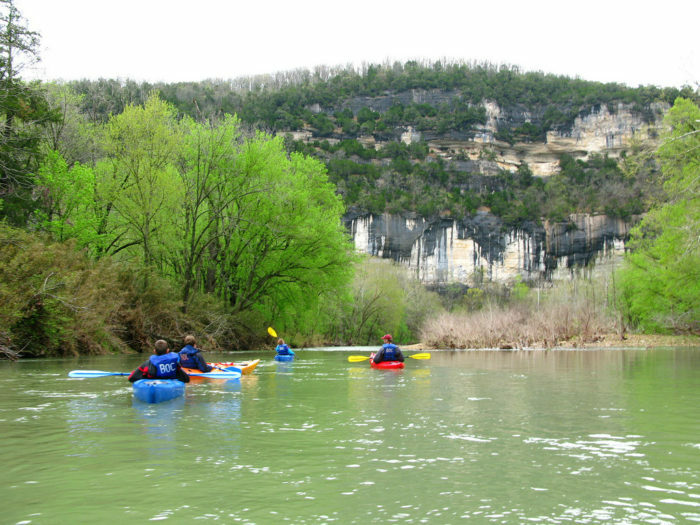 This trail is the most popular hiking trail in the Buffalo River area, and for good reason. 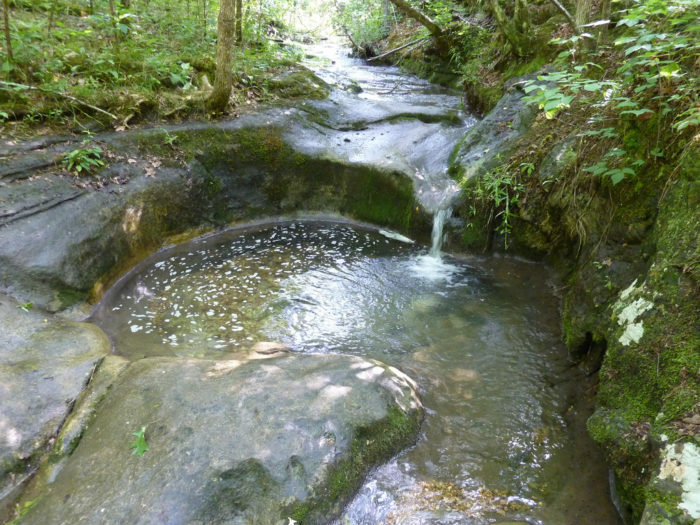 Along this trail you’ll find the exquisite Eden Falls and some beautiful forested land. Lost Valley Trail is 2.3 miles round trip, and you’ll want to try for a weekday hike if you don’t want the trail to be swarmed with fellow hikers. This is another three mile hike. 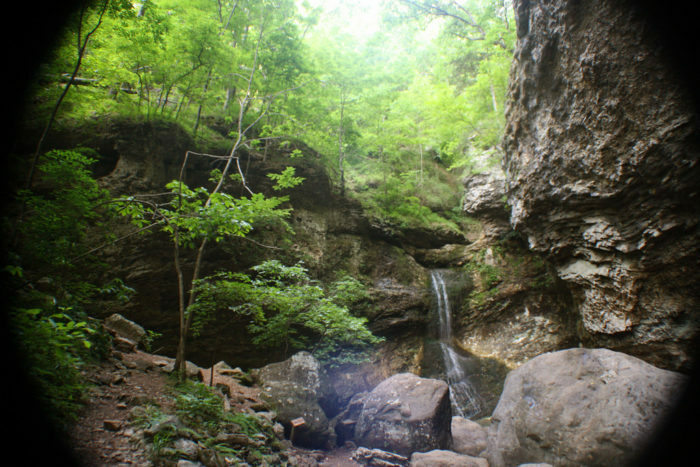 This one, however, takes you to one of the most scenic and photographed places in Arkansas. 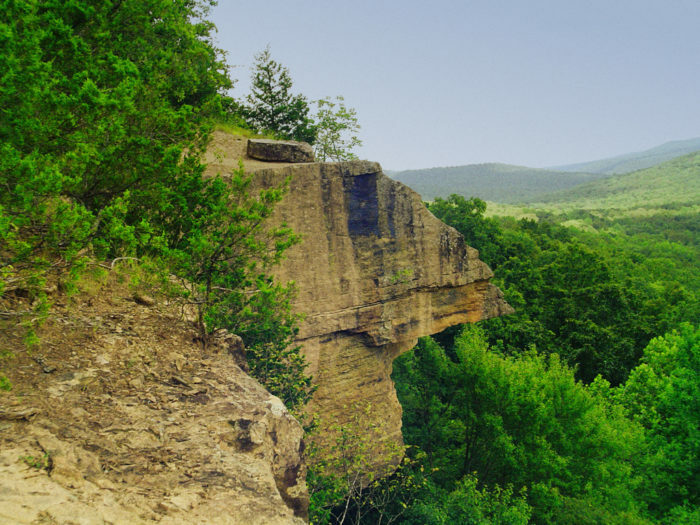 Whitaker Point, also known as Hawksbill Crag, is a gorgeous spot that every Arkansan really must see. It’s a long, hard fall from this wonder, though, so do be careful and maybe leave the toddlers at home. If you’re into ancient geology, Seven Hollows Trail is the perfect place for you. 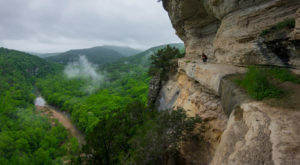 This 4.5-mile trail will take you through a series of canyons that offer some of the most interesting rock formations in the Natural State. You’ll catch a glimpse of the natural arch featured above, and so much more. This trail is moderately difficult and moderately trafficked. 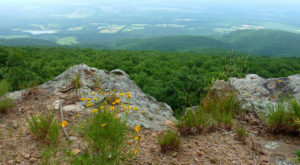 We’re getting into expert territory now, as Eagle Rock Loop is 25.2 miles long and recommended only for expert hikers. 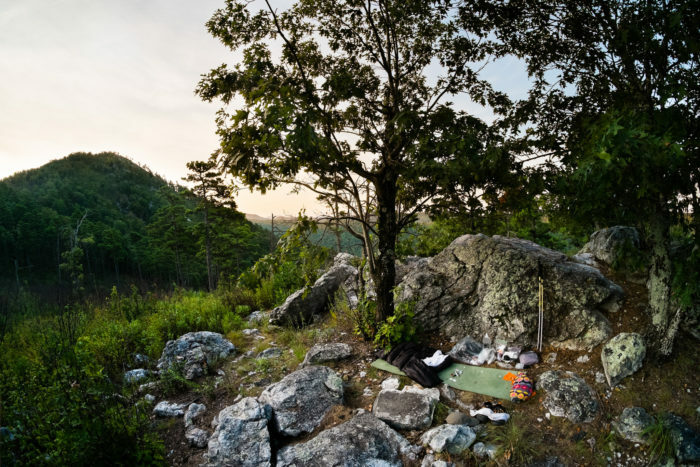 It’s the perfect place to go backpacking because it’s so lightly trafficked, and you can camp along the trail. 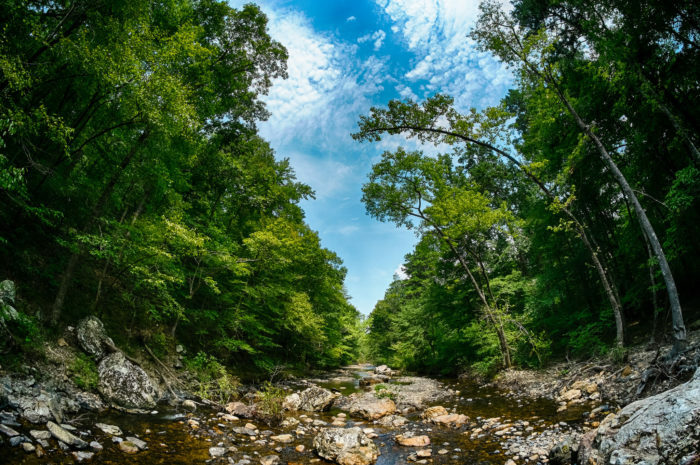 One of the trailheads for this loop is located near Little Missouri Falls, so there’s some extra incentive for you to enjoy this gorgeous hike. 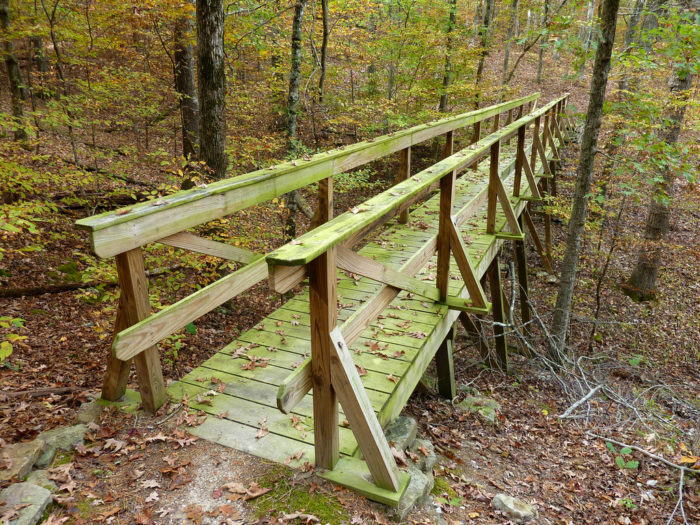 Speaking of trails for experts, the Ozark Highland Trail is the one to tackle if you’re really into hiking. 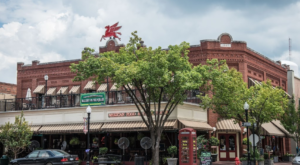 It’s a whopping 218 miles long, and it passes through some of the most remote and scenic portions of the Arkansas Ozarks, including White Rock Mountain and the Buffalo National River. 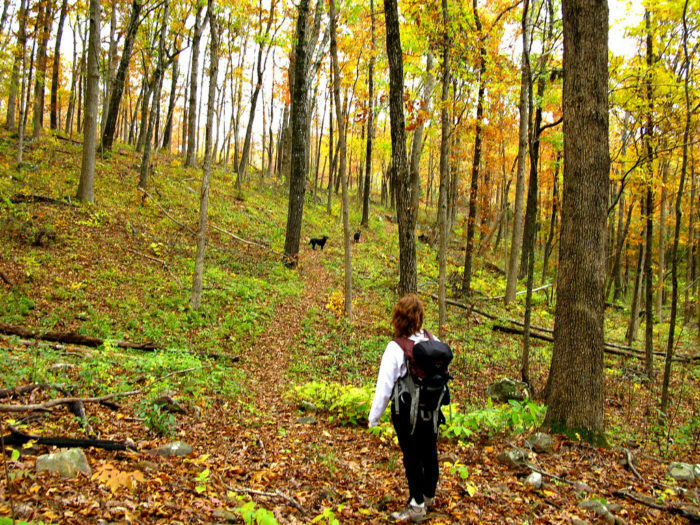 The Little Missouri Trail is 16 miles one way, so make sure you plan accordingly. This trail takes you through the winding stair area and offers astounding views of the Little Missouri River. In fact, it crosses the Little Missouri River eight times and takes you through several creeks as well. 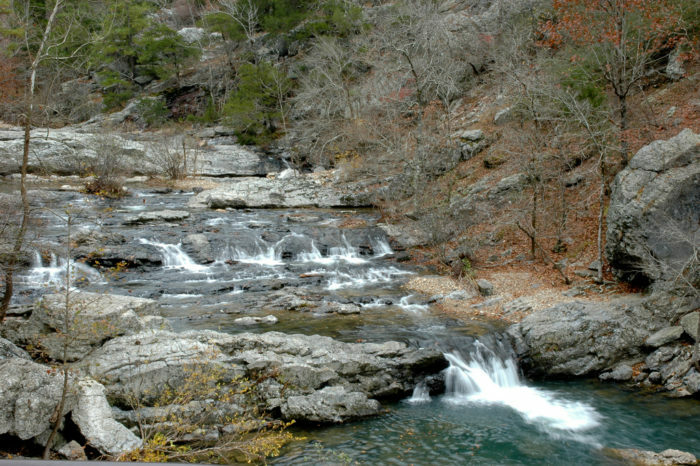 You can find trail access at either Little Missouri Falls or the Albert Pike Recreation Area. This trail is another long one, so makes sure you plan well. 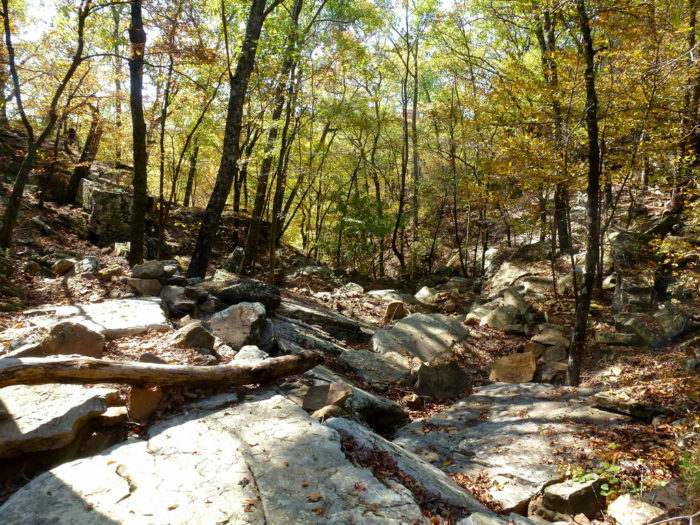 Butterfield Trail is 15 miles long and begins and ends at Devil’s Den State Park, though ten miles of it pass through the remote and stunning Ozark National Forest. This trail has some great history behind it, dating all the way back to pioneer times. 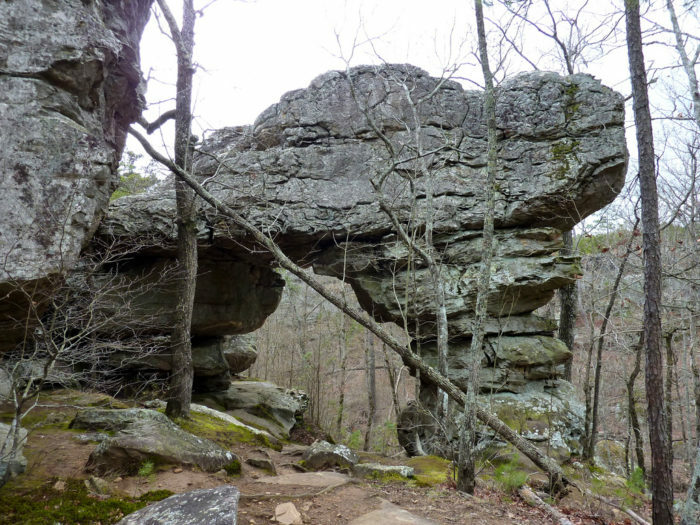 You’ll need a permit to hike this trail, though, so make sure you check in at the Devil’s Den Visitor Center. Most people spend a night or two camping on this hike. 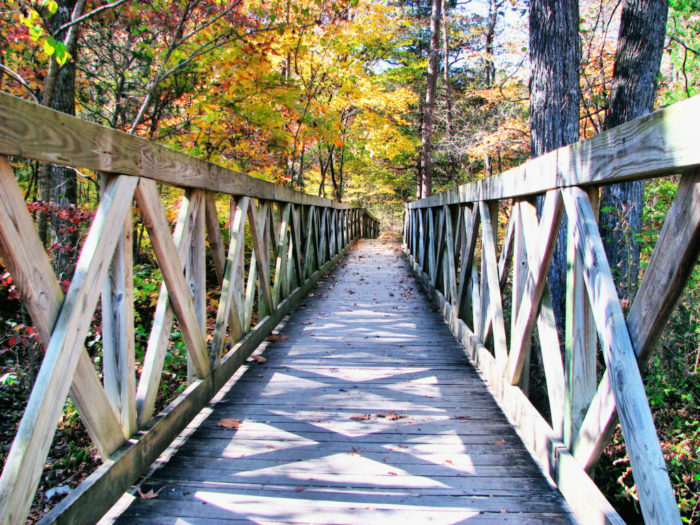 The Caddo Bend Trail is another trail that takes you through the area where Arkansas’s gorgeous Lake Ouachita is located. The trail is about 4 miles long and follows a peninsula on the east side of the lake. This trail is marked as strenuous, though, so do mind your ability level. This 10.5-mile trail is another one that’s best left to the experts. Rather than running east to west, this trail runs north to south, along the mountains. 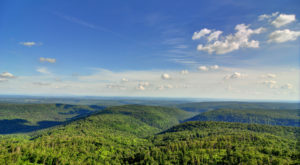 It crosses eight mountains, in fact, all in the Ouachita Mountain Range. 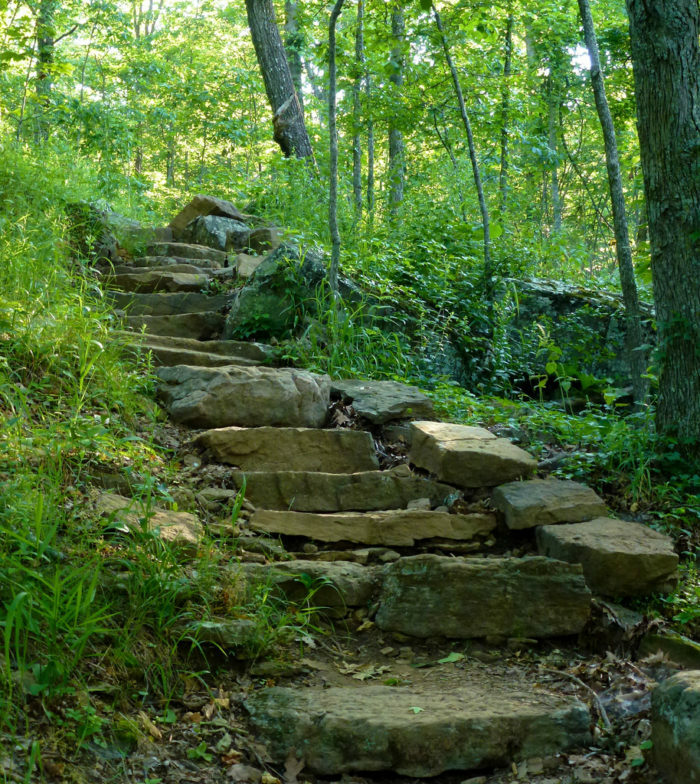 So if you’re looking for a trail that makes you work hard and pays you back with untouched forest time and scenic overlooks, this is the trail for you. Depending on where you start the trail, Hemmed-in-Hollow Trail is either 2.5 or 4.9 miles long. The path from Compton is the shortest. What greets you at the end of this trail is the tallest free falling waterfall between the Rockies and Appalachia. 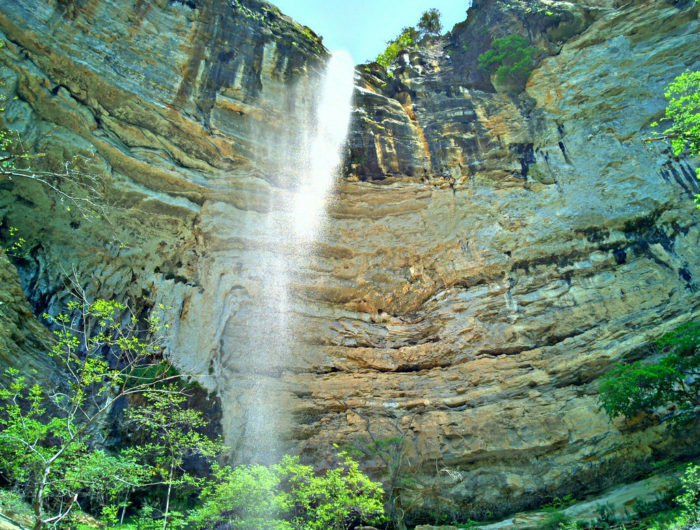 At 210 feet, Hemmed-in-Hollow Falls is well worth the winding mountain trail that takes you down 1400 feet in elevation to the glorious view pictured above. 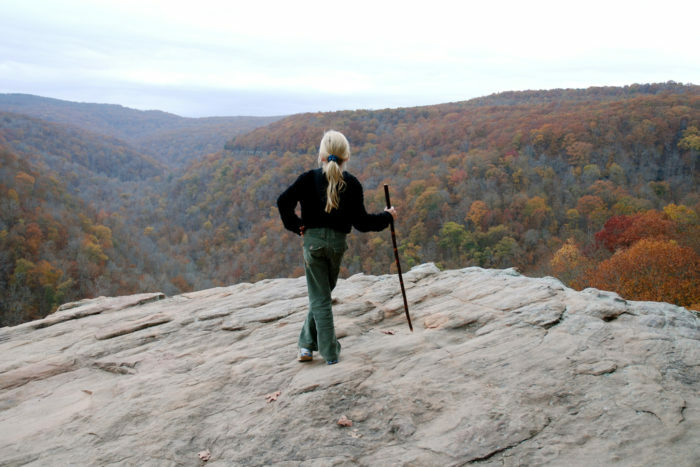 If you’re looking for hikes that lead you to incredible places, check out these gems. 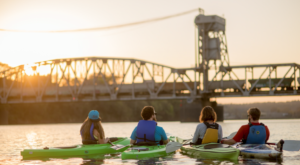 If you’d rather find outdoorsy things everyone in Arkansas can do, this is the list you want.